Upgraded to Amateur Extra Class on May 12, 2012. 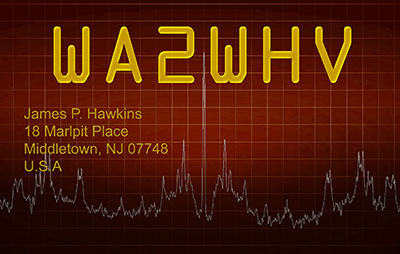 K2JHV callsign approved on July 25, 2014. May 2014, I received my Flex-6500 Sofware Defined Receiver. The 6500 had been available for some time, but I waited till they released a new SmartSDR that included Panafall, Tracking Notch Filters, Quick Recording and Playback. The 6000 is a vast improvement over the previous models, which put heavy demands on the computer, susceptible to RFI because of the Firewire connection, has virtually no distortion. It reproduces the audio in precisely. 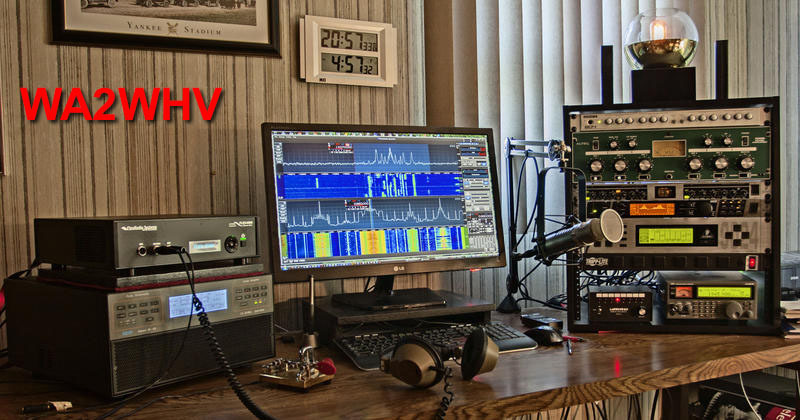 If you have a gravely voice as I sometimes do, and you have high end equilized for good high end, it will emphasize it and some non SDR hams will interpret it as distortion. The compressor is far superior to the previous models as it works more smoothly and is infinitely easier to set up. Even though, the V1.2 release does not record to recoverable files, you can get the Audacity audio recorder and make a virtual connection to one of the many DAX channels, record, transmit and save to a file. The connection between SmartSDR and the hardware is simply through your Ethernet LAN. I have not tested it with Wi-Fi for performance. Hey, also, the VLF coverage has virtually no images and is completely usable. 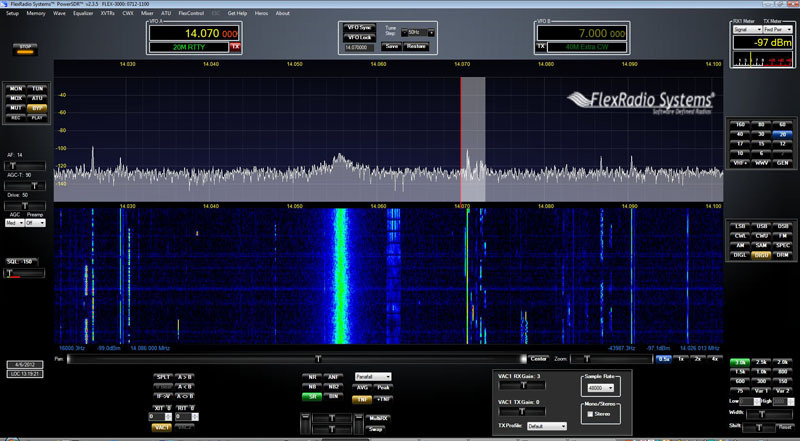 The previous Flex models filled the VLF frequencies with broadcast images. The image below shows two of the four possible slices, but shortly after I received this, Flex released the 6300 with only two slices, which is much more affordable and is about the same price as the new price of the Flex-5000A. Equipment Rack Changed from what is seen above. added to the Flex, the need for a multiband compressor was eliminated to my satisfaction. I removed the multiband compressor from the rack and bypassed it in the 2496 equilizer. A QEX paper on this algorithm can be found at here. In March 2012, I received my Flex-3000 Sofware Defined Receiver. I first started to drool over this one year ago when I read a two part article in Monitoring Times Magazine. Meanwhile I was practicing model helicopteer flying skills on a flight simulator, which I started in October of 2010. Finally, at the end of 2011, I was decided where I wanted to go in 2012. As I continue to spend some of my time on the model Helis, I am happily "back Home" doing what I do best. 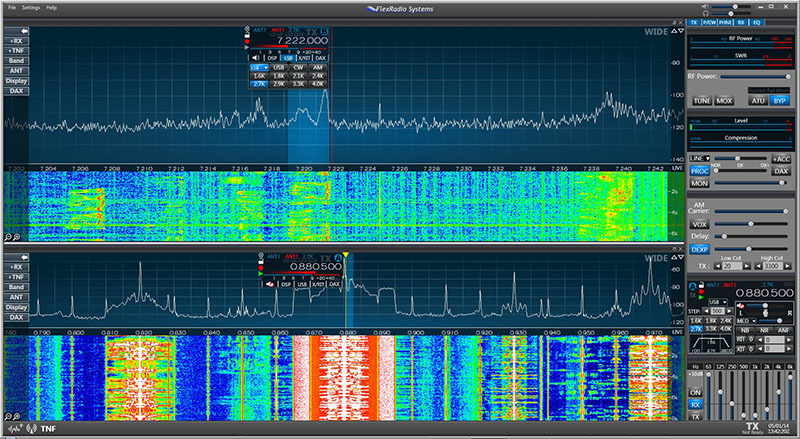 Screenshot of PowerSDR, tuned to PSK part of 20 meter band. My old faithful Ten-Tec Omni-D has been relocated as an emergency rig. 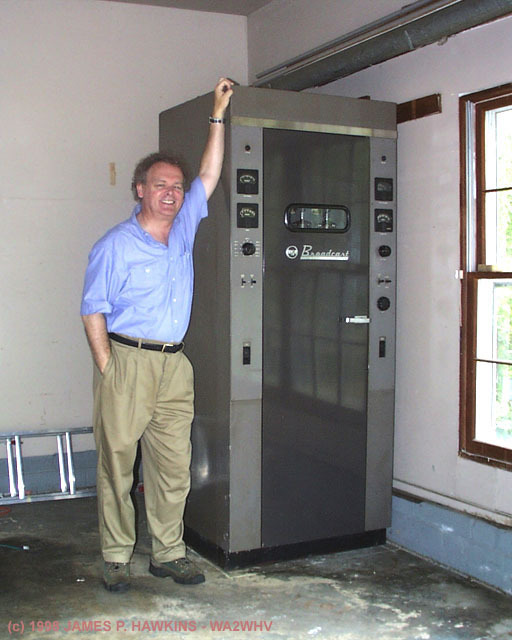 The RCA BTA-500R was sold and moved to the QTH of Neal Newman KA2CAF on 12/16/2002. 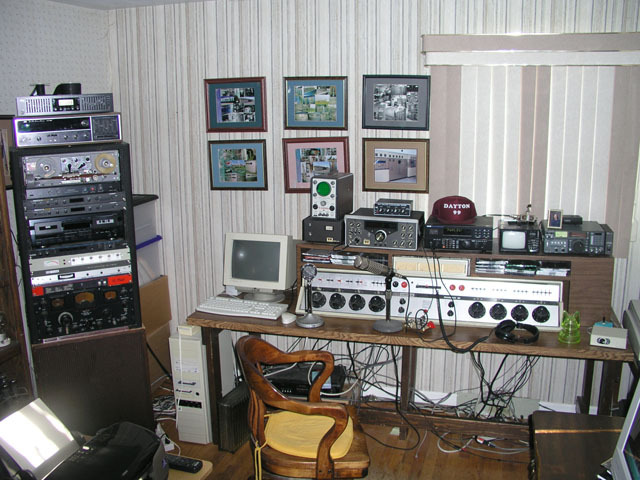 Below was a picture of my shack when I installed tha BTA-500R. I used a Gates Dualux II console feeding into a Moseley TFL-280 Audio Limiter for 160m and a Gates "Statesman" audio limiter for future 75 meter operation. My Ten-Tec OMNI-D allows me to operate on SSB and CW. now useless NTSC television adaptor. 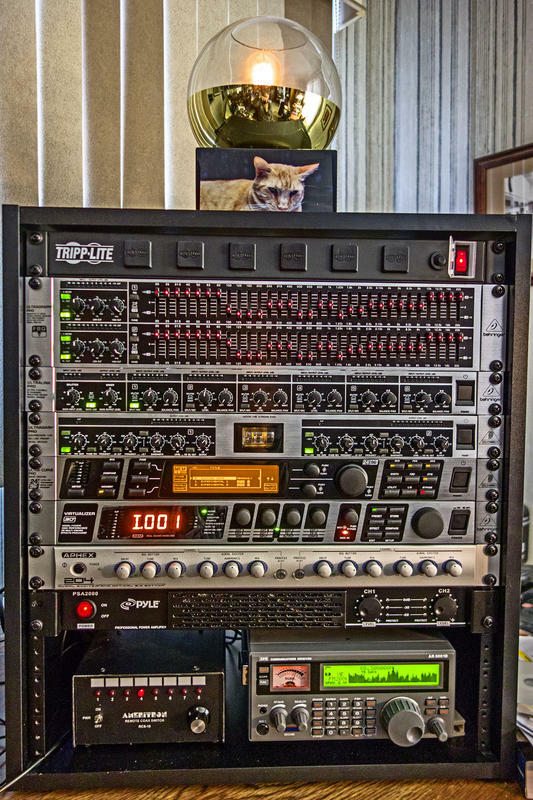 Whole rig is contained in rack at left. NEW - XT-1-A Transmitter moves from KW1I to WA2WHV! 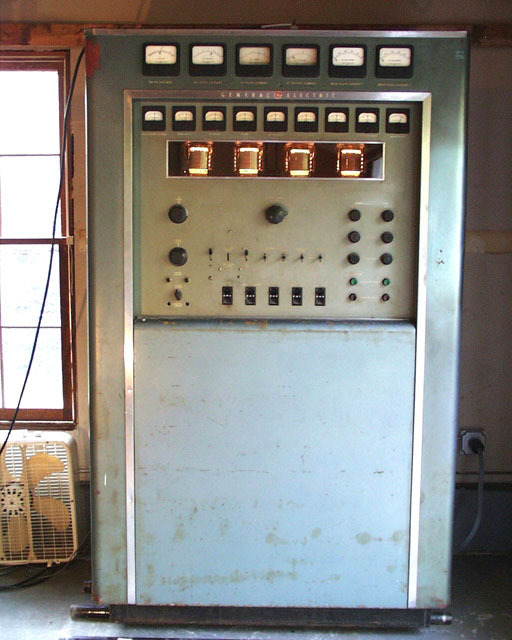 station power was 1KW, but this was the backup transmitter. this broadcast rig for ham radio use. lying on its side on a U-Haul trailer just before leaving my driveway. on 160 meters. 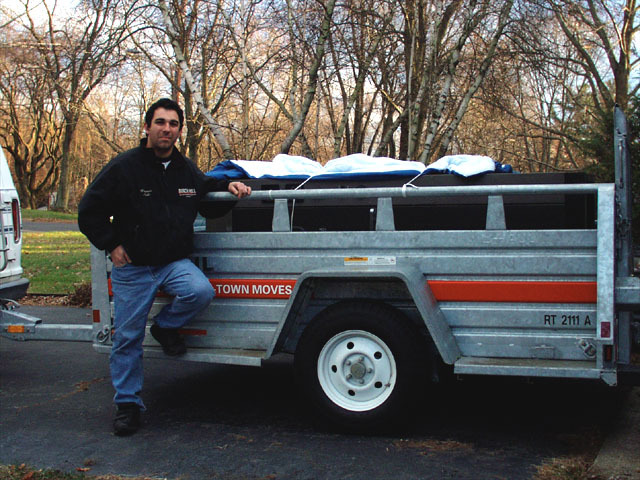 Visit the new home of the BTA-500R. 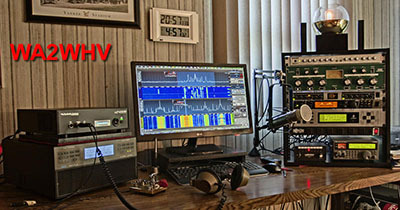 Pictorial History of my life in ham radio. From 250 Watts to 500 Kilowatts!